Preventing pests from entering your Woonsocket, Rhode Island home can a difficult task at times. Understanding why they enter your home can be the first step in prevention. Most insects and rodents will enter your home in the fall months in an effort to find a safe warm place to spend the winter. They may enter your home looking for a food source or a place to nest in. Some will enter by hitchhiking their way in on your pets, your clothing, and luggage or even on you or a family member. Seal around all windows and doors - This is one of the most common ways pests, especially spiders and ants, gain access to your home by coming through gaps around windows and doors. Screen Windows - Make sure all open windows are screened and there are no holes in the screens themselves. Open windows are a common way for insects such as cluster flies to enter your home. Seal pipes, electrical and ventilation areas from the outside - Gaps around the outside of these areas are common entry points for mice and other pests. Inspect possible outside sources - Check pets for fleas and ticks, inspect packages and boxes for signs of insect activity. Contact the Woonsocket pest control pros at Big Blue Bug Solutions today for more detailed information on our residential pest control services. Along with residential pest control we also offer Woonsocket pest control services for commercial properties. 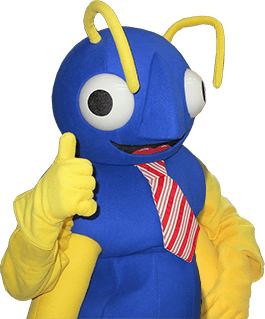 Call Big Blue Bug Solutions today and talk to one of our trained professionals to see how we can help with all of your pest control needs!